“I haven’t told you everything.” Netflix has just released the final new trailer for season two of Marvel’s Daredevil. 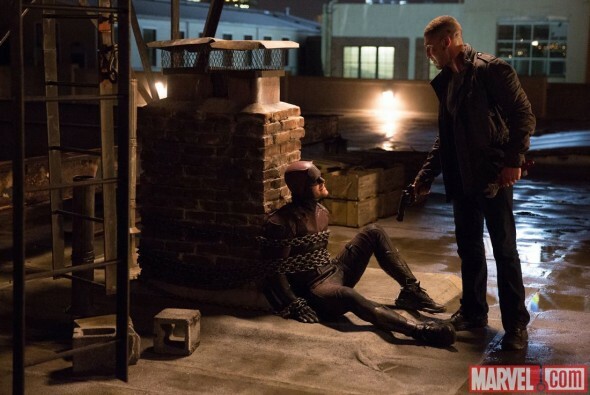 The preview features appearances from new characters, The Punisher (Joe Bernthal) and Elektra (Elodie Young). Season two of Marvel’s Daredevil launches on March 18th. What do you think? Are you a fan of Marvel’s Daredevil? Will you watch season two? What do you think will happen? I Initially didn’t think I would be a fan of this series when I first started watching but I quickly became a fan. The storyline was meatier than I expected and the acting was superb on all levels. I’m not only fan of this series now but also the Jessica Jones franchise as well and I’m 68 years old. I look to Netflix to keep quality television on the air since broadcast networks seem to fail miserably at this challenge.